While originally set to be released in December, the final environmental assessment report for the proposed widening of Interstate 10 through Baton Rouge won’t be released until summer, Louisiana Department of Transportation and Development Secretary Shawn Wilson said today at a Press Club of Baton Rouge luncheon. The department expects to begin the procurement process for a firm to design and build the College Drive overpass and Acadian Thruway exits later this year, Wilson says, adding he hopes to have an engineering firm selected for the interstate widening project by the summer. While Wilson says it’s too soon to give a timeline for the whole corridor’s $380 million expansion, he estimates the project could take five to 10 years, adding the department is in the process to start acquiring needed land. At the same time, it would cost $140 million to replace the under-repair Intracoastal Waterway Bridge, a project that Wilson says the state should have tackled years ago but couldn’t due to restrictions in funding. 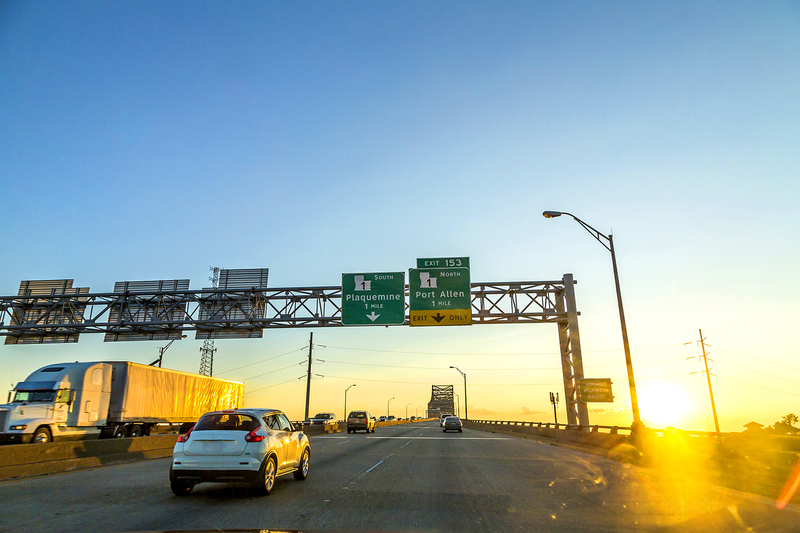 “That bridge is going to consume more than 100% of what I spend on bridges the entire year across the state of Louisiana,” Wilson says. The department installed one-inch thick metal plates on the Port Allen bridge while repairs are being made, however, they’re essentially speed bumps that have caused nightmarish traffic on the West Bank, prompting the department to change its policies for how it uses the plates, Wilson says. “It’s been a frustrating issue for folks on the West Bank, but I’d much rather have a little frustration now than have to close that bridge permanently if it’s unsafe,” Wilson says. The department has used the steel plates on interstate bridges and others, and they’ve never seen such a negative impact on traffic. Of the state’s $14.3 billion construction backlog, $9 billion relates to the state’s aging bridges. Since Gov. John Bel Edwards took office in 2016, Wilson says the state has undertaken 860 construction projects worth $1.7 billion and impacting 2,900 miles of roadway. The department plans to spend $788 million this year on roadway preservation efforts.